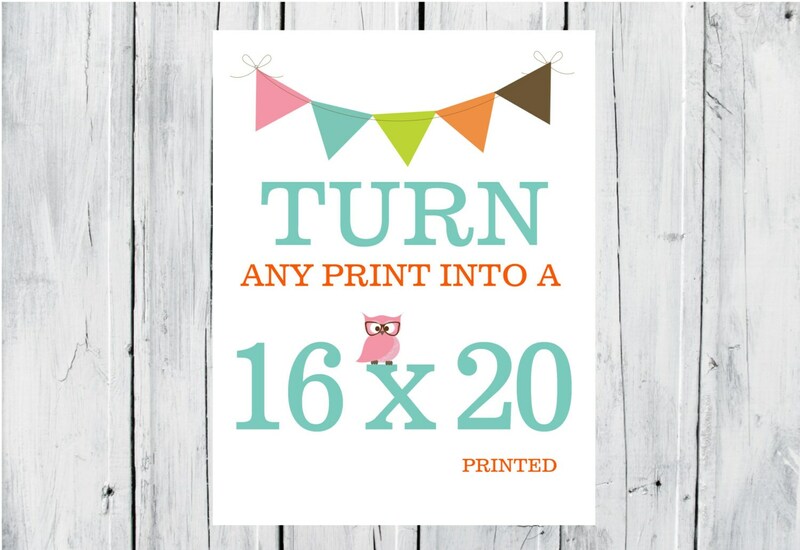 This listing allows you to turn any print in my shop into a 16x20. Within 24-36 hours after purchase a draft will be sent to you via ETSY conversation. Please make sure to check for the draft. Once I get your approval I will print and mail.